While he isn’t actually MY pastor, I am very thankful for my father. My father, Allen Mickle, recently became Pastor of Walkerville Evangelical Baptist Church in Windsor, Ontario. After the church had searched for over 4 years for a new pastor, my father, became their new shepherd. I went to seminary with my dad and he graduated with his MDiv when I graduated with my ThM. I had the privilege of taking Greek with him among other classes. He studied hard, worked hard, and graduated with a higher GPA than I did! But studies were not everything for him but he was focused on living out his studies as well. He actively served in teaching ministries and outreach ministries. Now he faithfully serves his flock in Windsor. He preaches expositionally from the Word and teaches his people the whole counsel of God. He has a desire for them to reach out into the community at large with the life changing message of Jesus Christ. The people love him and he loves them. I was there at his church this past Sunday teaching the adult Sunday School class and preaching for him. I challenged the people to love him and obey him and I challenged him to love and teach the people. While he is not my pastor directly, he has been my pastor as my father over the years and would be honoured to serve Christ under him at that church. Please pray, love, and obey your pastor today! Whether he is your father or not! My wife Tracy has reviewd the following book, Treasuring God in our Traditions, by Noel Piper. When I was a child, I looked forward to each major holiday in our home as a time when we would do the same family activities in the same way year after year. Even today, I treasure traditions I grew up with and hold to them very closely. They continue to give me a sense of belonging, of comfort, and of anticipation. 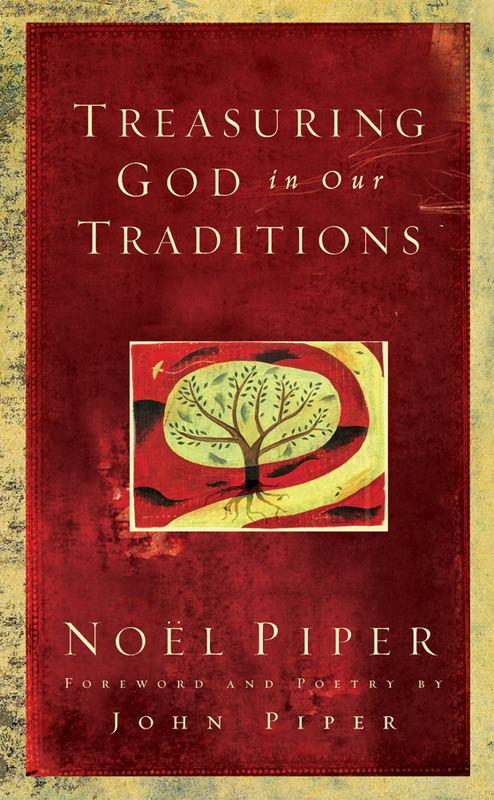 In Noel Piper’s book, Treasuring God in Our Traditions, she states that “both heirlooms and traditions strengthen our sense of history and belonging” (15). In our chaotic and hectic lifestyles, we need, as Christian families, to think through our traditions and intentionally set out to develop the best of what we grew up with, as well as the best of what we develop for our current families. Piper’s book is full of practical suggestions and inspiration for doing just that! Piper begins by establishing that the most valuable family heirloom we have is our relationship with Christ. If this is true in our lives, then we should structure our “everyday traditions” and our “especially traditions” around this fact. Traditions and ceremonies in our home become visual representations of our faith and allow our children, as well as visitors in our home, to see our faith illustrated in concrete and tangible ways. The ceremonies, yearly feasts, and remembrances God gave the Israelites in the Old Testament speak of the power of such annual events. God designed these times as reminders for the adults, as well as teaching times for the children. Piper defines a tradition as, “The things we do regularly that help us in our deepest being to know and love and want God, the things that help our lives to be infiltrated with God—those things are tradition. And then if there are children in our lives, to pass these God-focused activities to the next generation—that’s what tradition is for a Christian.” (25). A particularly profitable section of the book is two chapters devoted to “everyday traditions”. We often live very hectic lives with chaotic schedules at a haphazard and frantic pace. We do not have time to do intentional things, nor do we spend much time thinking about the day-to-day rituals of our lives. Piper gives many practical suggestions about ordering your child’s day, scheduling one-on-one time with Dad, doing morning chores, accomplishing bed-time, going to church, and doing daily family devotions. All of these activities become much easier and happier when everyone knows what to expect. We also illustrate for our children how important they are when we make them part of our everyday traditions. The next three chapters are devoted to “especially traditions” including weddings, funerals, birthdays, Christmas, and Easter. I found the chapter about Easter especially exciting as we tend to have many traditions around birthdays and Christmas, but perhaps fewer intentional traditions centered on Lent and Easter. The only disappointment I had with this book was the lack of any real place for what I would call “just-for-fun traditions”. While I would heartily concur with Piper that our traditions ought to speak of Christ and our Christian faith, and holidays in general are far too secular, I would also like to see a few fun traditions throughout the year. It may have been beyond the scope of Piper’s book to include such events, but what about hunting for pumpkins at the local pumpkin patch in the fall, making strawberry pancakes on the first day of spring, or dying Easter eggs at Easter. While these kinds of things do not necessarily fall under the category of religious traditions, they can speak to a child about the joy of special activities reserved for special days. They can be fun times for the whole family, even if that is the only real spiritual lesson they impart. I heartily recommend this book to all families whether you have children or not. All people, whether adults or children, need the special place of yearly traditions in their lives. We all need the comfort and assurance that there are some things we will do the same way every single time. Along with that, we can all be challenged to live our everyday lives with a little more ritual and dependability, making sure the intentional things we want to do are given the priority in our day. After all, God is a dependable God. These rituals and traditions are but a shadow of our God with whom there is no shadow of turning or change. May God bless your family, and the traditions you hold dear! Treasuring God in our Traditions. 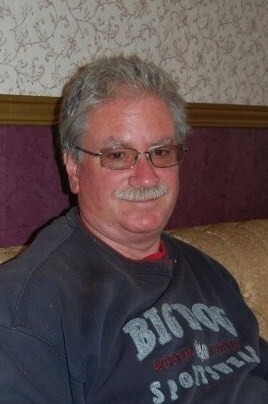 Noel Piper. Wheaton, IL: Crossway, 2007, 128 pp., $14.99, paperback. Bob Dylan, that great American musician, in 1983 prophesied of the issues facing 2008. In his single, “Union Sundown,” the inimitable poet-musician wrote, “Well, it’s sundown on the union and what’s made in the USA. Sure was a good idea ‘til greed got in the way.” How very true this statement is. It was originally made during the recessionary times of the early 1980s when the automotive industry was struggling against increased foreign competition and failing to respond to the fuel crisis only a few years before. Now, in 2008, with the global market concerns, the automotive industry has fallen on difficult times in North America. The issues have not changed since the 1980s. The North American giants, General Motors, Ford, and Chrysler are facing growing interest in foreign manufacturers and a failure to respond. While Toyota and Honda and others are answering the fuel prices of today with high-economy models, the North American manufacturers are still investing in large engine models. They cannot seem to understand what the market is looking for. It is no wonder they are continually losing market share. The reality is, the “Big Three” Detroit automakers have announced that without some kind of economic bailout, there is the real threat of bankruptcy. While the United Auto Workers (UAW) and its Canadian counterpart the Canadian Auto Workers (CAW) have often found themselves with a great influence in the world around them, they, and the manufacturers they work with, are finding they have little support in the community at large. Micheline Maynard recently wrote in an article titled “Clout Has Plunged for Automakers and Union, Too” for the New York Times (November 17, 2008) that “In arguing for a bailout, Detroit’s automakers have found themselves without much help.” Public opinion in general has turned against the Detroit automakers. The clout they once felt they had in Washington and Ottawa has dried up as people everywhere are asking how dumping billions into these manufacturers, with little foresight into actually building cars the population wants to buy, will actually help this economy. The manufacturers and the unions that represent the workers are no longer the giants they once were. How did this happen? While most are asking this question with regard to the automaker few are asking it with regards to the unions. The important question needs to be, “what happened to the unions?” Dylan helps us with the answer: greed. The automotive unions have set themselves up far beyond their original goals and mission. They have moved into the realm of all-powerful organization that has, for some, become a substitute for the church. The unions were formed out of a difficult time and were completely necessary. During the late 1930s and 40s conditions were poor for the manufacturing working class. People were tired of working the long hours in poor conditions for little pay. First, General Motors formed a contract with the UAW in 1937, then Chrysler a year later. Hold out, Ford Motor Company, did not form a contract with the UAW until 1941 after a number of years of intimidation, espionage, and even violence on the part of Henry Bennett and the “Ford Service Department” whose sole task set out by founder Henry Ford was to prevent organization. During this time, the union was designed to represent the workers to the company and bargain for better working conditions and pay and benefits that matched the work they were doing. These were noble goals. Those of us today who make what we make in many different industries owe that to the automotive unions which forced companies to actually treat their employees like people and pay them what they were owed. But what happened? My father worked for 30 years for Ford Motor Company in Windsor, Ontario. The union over the years helped to keep my father employed, paid, and with good benefits. One of those benefits was that I was able to work for Ford as well during my seminary years as a TPT (Temporary Part-Time). I would work Friday’s and Monday’s at Windsor Engine Plant in Windsor, Ontario where we built the truck engines for the F-Series trucks. It was a great job. It was the best paying part-time job I had. It allowed me to support myself all through my seminary years. But, over my 4 years of working for Ford I noticed some very dangerous things about the union. I would recall when I was hired, we were strongly encouraged to have funds removed from our cheques to give to a large charitable organization. The union prided itself on giving to this group in large amounts each year. Since this organization supported things I could not in good conscience support as a Christian, I told them I was not going to give them funds. The looks and the queries made me think I was somehow guilty of failing my fellow man for not giving to this organization. It was “expected” to do so as a member of the union. When election time came around the unions basically told employees who to vote for. These recommendations would usually be very leftward leaning on the political spectrum. As I felt I could not support these politicians because their parties supported issues that I could not support as a Christian I would tell people I would not be voting the way the union wanted me to vote. I was basically accused of not supporting the union; that my vote to a different party meant I was against jobs. The rhetoric of the union had so ingrained the minds of the employees they could not see the lack of logic. I often said to them, “Who pays your salary, the company or the union?” They would reply that it was the company that paid them. So I asked, “Would you rather support a party that supported the company or the union?” People could not grasp the concept of this or anything that did not mesh with what the union was arguing. The union became the church for these people. It provided them a place to fellowship. It told them what to believe, how to behave, and what was important in life. The reason the unions are failing is because they have attempted to take the place of what the church is. The church of the Lord Jesus Christ is the primary vehicle for which God is accomplishing His will in this age. It is the place where God has called us to be a part of and to which we give our lives. Nothing takes precedence or place over the local church in our lives. We were saved to do good works (Eph 2:10) in the life of the body of Christ (Eph 4:16). Nothing should take our allegiance away from the church. The scary part of all of this is, too many believers bought the lies that the unions offered and gave more allegiance to the union than they did the church. Why are the unions failing around us? Why can they not keep plants open? Why can they not keep people in their jobs? It is simply because at some stage they decided they were more than just a union. They were much more. The problem is, there is nothing “more” than the church in this age. They tried to usurp the role that the church should have in the lives of people. It was an ineffectual substitute. And when the unions attempted to go into areas that were not part of their original mission, they forgot about their mission of workers rights and job security. Until the unions get back into their place and out of the place of the church, they will never be effectual in the world around us. Dylan’s words hit to the heart of the matter today. “Well, the job that you used to have they gave it to somebody down in El Salvador. The unions are big business, friend and they’re goin’ out like a dinosaur.” The unions will never be effectual again until they find their place as organizations that work to secure worker rights and job security. Not be a big business, or a big church. Gospelandculture.org is an online community where specialists in specific areas of cultural interpretation and theological application dialogue with fellow believers about contemporary questions. The site also communicates about the ongoing work of the GCP and promotes its initiatives and events. Forays are monthly gatherings held in the University City area of Philadelphia that explore aspects of contemporary life through the lens of the Christian faith. Word Meets World will be a weekend, in-church seminar in which GCP staff equip people in churches to apply the Gospel to their daily lives and to important issues they face. The School for Cultural Engagement will be a graduate school geared toward equipping lay people and those who are in, or plan to enter, professional ministry, to hone and develop their faith as a tool for responding to contemporary life. Students will receive a thorough grounding in theology and biblical studies, however, courses will be taught with an eye toward creating leaders who can enable others to thoughtfully apply their faith to the world around them. The Gospel & Culture Center will house our offices, classrooms, a gallery space and media production space. Dr. William Edgar, apologetics professor at Westminster Theological Seminary in Philadelphia, developed the idea for the project more than a decade ago. In the intervening period, he pulled together a group of volunteers, then eventually a six-member board in 2007. During this period, the GCP offered a number of conferences and other types of gatherings focused on the application of the Christian faith to aspects of contemporary culture ranging from media, justice and politics to aesthetics and globalization. The GCP was incorporated in 2007 as an independent nonprofit 501(c)3. In 2008, the GCP hired its first employee, Dr. Chris Simmons, as Executive Director. The GCP currently operates gospelandculture.org and Foray, and looks forward to launching World Meets World, The School for Cultural Engagement and The Gospel & Culture Center, as resources become available. The GCP has two primary distinctives: 1) its theological rooting and 2) its core belief that the church’s calling includes fulfilling Scripture’s command to glorify God in this world by influencing it to more truly reflect his character. These two distinctives go hand in hand. The GCP’s approach, known as cultural-redemptive theology, interprets the Bible as presenting an unfolding historical process that culminates in the coming of Christ’s kingdom. This theology argues that all things cohere in Christ, who is the Lord of life and therefore of culture. History, as God ordains it, is moving toward a new creation — a new heaven and earth. At the center of this process is God redeeming us so that we might know and enjoy him and his world in this life and the next. A prime aspect of this knowing involves his speaking to us through his word. God guides us in how we may work in a world that is fallen, yet one in which he is at work. As a result, to understand culture in a cultural-redemptive framework is to understand that God can and will work with us and through us so that this world might more truly reflect his character. As a result, we believe that the church can and must fulfill its calling to interact dynamically and thoughtfully with the key questions and issues our world faces. 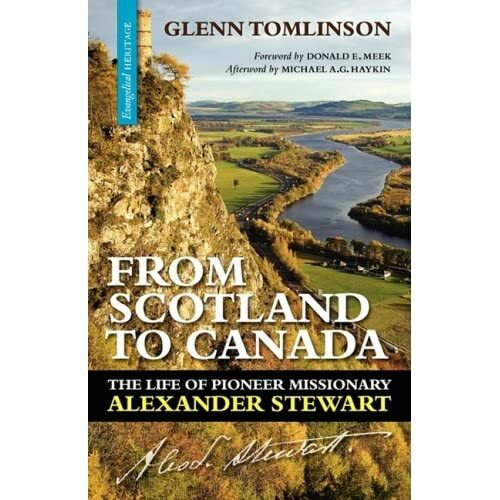 Quoted in Glenn Tomlinson, From Scotland to Canada: The Life of Pioneer Missionary Alexander Stewart (Guelph, ON: Joshua Press, 2008), p. 152. Pray and Partner with Me for the Ministry! My role at Slavic Gospel Association is to share the wonderful stories of brothers and sisters in the CIS with churches in Canada. I help work in the area of training and equipping ministries as well. The reality is, that while I receive a salary from SGA, the cost of doing minstry is very high. In order to maximize the money that comes into SGA to support church planters and theological education in the former Soviet Union, I am hoping people will commit to partnering with me in personal support to offset those ministry expenses. Any funds directed to my personal support are tax deductible and go directly to SGA and not to me personally. You will be partnering with me in my ministry to the slavic speaking people of the former Soviet Union. Please make sure to include a note stating the donation is for the personal support of Allen Mickle in the Canadian office. If you prefer to do this online you can do so here. Again, in the “Comments/Special Instructions” section please note that this is personal support for Allen Mickle in the Canadian office. As well, please let me know if you will be doing this so I can let our US office know. Contact me at allenm [at] sga [dot] org. Thank you so much for your prayer and partnership in my ministry to support our brothers and sisters across the former Soviet Union! I have recently started a new blog, Oratio, Meditatio, Tentatio. Lord willing this blog will be reflections by myself and guest bloggers that would help to stimulate and encourage and challenge pastors on a biblically saturated, theologically sound, and historically aware pastoral theology. I encourage you to check it out and if you have something you would like to contribute please let me know! You are currently browsing the Working out Salvation with Fear and Trembling blog archives for November, 2008.